What is Anti-Aliasing and How Can it Make My Projects Look Better? When you first start using programs like Photoshop, Gimp, or Paint Shop Pro, you'll probably see a lot of options for anti-aliasing. You also may have heard about the limitations of aliased images, or noticed those uneven and jagged edges that sometimes occur when you are designing circles, curves, and diagonal lines. All of these are related to a process called aliasing, which you'll learn about in the sections below. 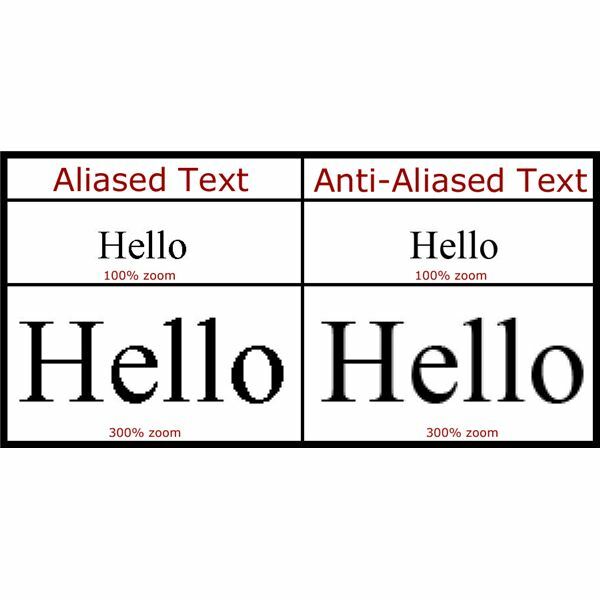 You'll also learn about anti-aliasing, what it is, and how it can improve your designs. Jagged, Uneven Edges? Blame Aliasing! First and foremost, we need to understand what aliasing is. Aliasing refers to the process of sampling something in the smoothest and most continuous way possible. Programs like Photoshop do this by using a series of discrete measurements. However, if these measurements are anything less than accurate, artifacts will appear on the image. 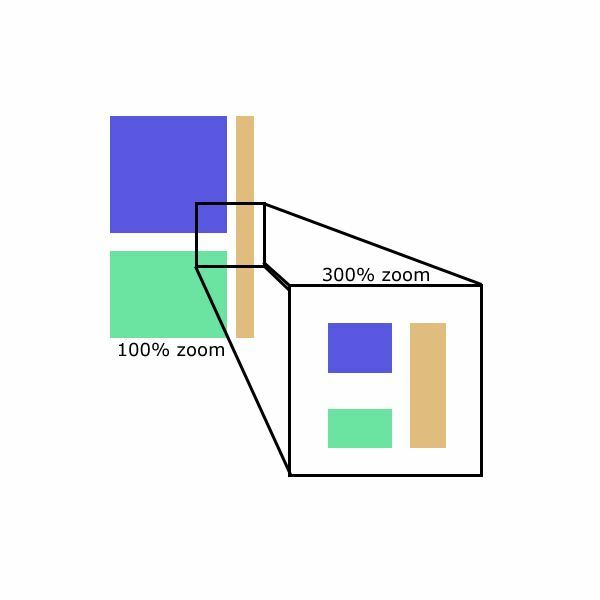 Aliasing is the reason you occasionally see misaligned pixels that didn't appear on your original image when you are saving. An easier way to think about this is to go with a concrete example, such as follows: When dealing with objects that run horizontal and vertically, you don't have to worry about unwanted artifacts showing up. That is because these use very simple and complete measurements to showcase these. Here are some aliased shapes that still have a crisp, clean look to them. When you begin to use shapes with curves and diagonal lines, most drawing and image editing software will begin to create unwanted artifacts within your images. These are those strange, unwanted, and unevenly jagged edges you find. Why do we get the jagged edges? Well, take a look at the limitations of your computer screen! Pixels on your screen are laid out in a grid fashion, and because you cannot create half-pixels, your screen is forced to fill in the occasional pixels here and there where you would have a half pixel. Here's an example of aliased shapes that contain jagged, uneven edges. You're going to want to click to see the full-sized image for this one! As you can see by the two examples, a curve is actually not perfectly created on a computer, but is sort of faked by creating a gradual curve that falls along the pixel grid. Even at a distance, though, it's still noticeable that this isn't a perfect shape. Anti-aliasing is the process that a program like Photoshop, GIMP, or Paintshop Pro goes through to help smooth out the jagged edges. This leads to a cleaner, smoother looking image. Anti-aliasing can make diagonal lines look straighter and makes curves look smoother. When answering the question "What is anti-aliasing? ", there are some pretty helpful examples to think of. My absolute favorite example is that which involves text! 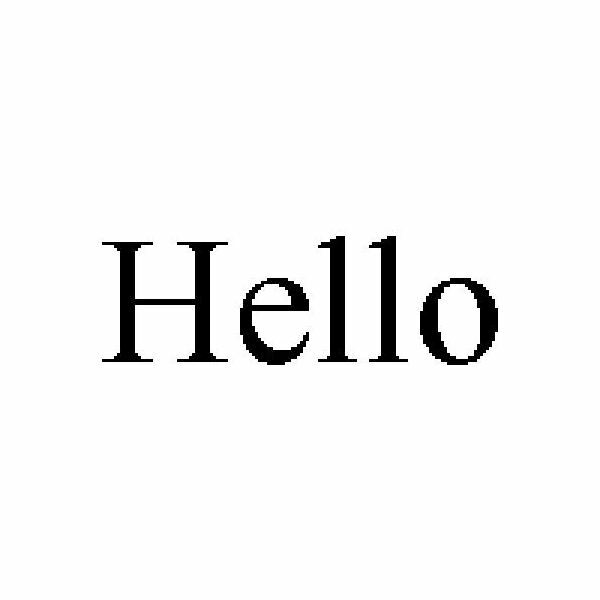 Here's an example of a close-up image of an aliased chunk of text. And here's the anti-aliased version. As you can see, Photoshop has taken the liberty of smoothing out the text to make it look more even. 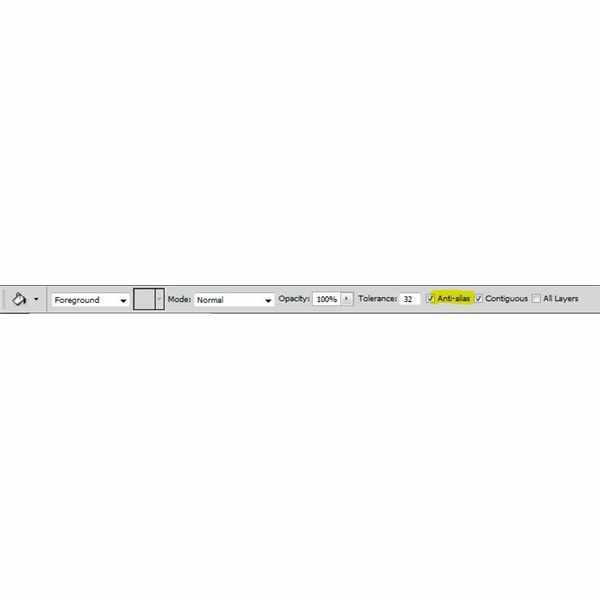 Most tool settings have the options to anti-alias, so be sure to check your toolbars in your preferred program. For example, here's a screen shot of Photoshop's anti-aliasing option for the paintbucket tool. As you can see, anti-aliasing occurs when a program or a graphics card uses partially transparent pixels to smooth out the rough, jagged edges of an image. 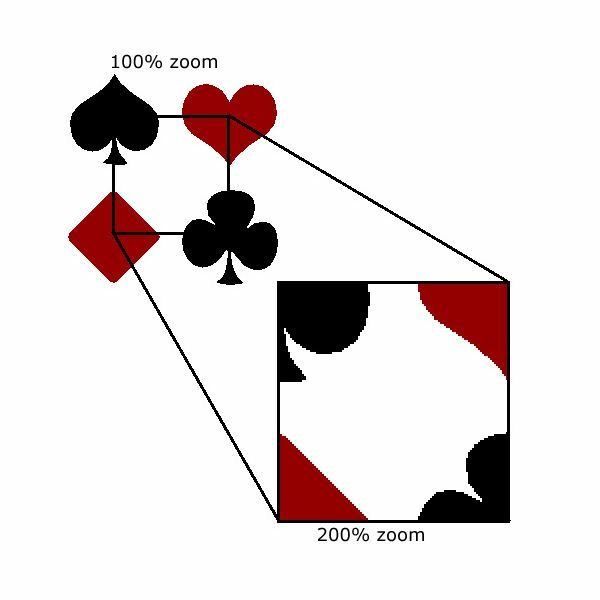 This is actually an optical illusion, as it does not create a perfectly shaped image. By tapering the way the transparent pixels fade from one area to another on your object, the program can trick your eye into believing that the image has smooth edges. However, this leads to a more pleasing overall look, as well as more realistic 3D images. It should be noted that the format you save your image in greatly affects how well a program will be able to do this. Images saved in a JPEG format can have anti-aliased edges because it will simply lighten the transparency of the object's edge pixels over top of the background. GIF images can also be anti-aliased, provided that the object you are anti-aliasing does not exceed 256 colors (the maximum amount of colors allowed by a GIF at a single time), and provided that you're not trying to create something with actual transparency or a lot of frames of animation. PNGs are a fantastic format for anti-aliased images, because even when used without a background, PNGs can use transparent pixels without limitations. All information and all images are provided by Amber Neely, who has seven years experience in graphic design.